Separation can be simple or complex, depending on what is being separated and why. Separating ferrous metals from shredded wood prior to pelletizing is relatively simple and can be accomplished through magnetic separation. While separation of multiple fractions, each with diverse characteristics, from a mixed waste stream being processed for recycling, or use as alternative fuel, is more complex and requires a combination of simple and sophisticated separation technologies. Knowing what technologies to use, as well as when and how to employ these technologies is crucial to the success of a system. Whether simple or complex, Vecoplan delivers both the separation technologies and the expertise on when and how to use them. 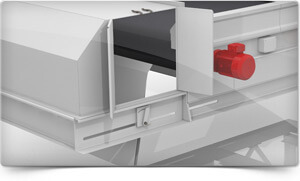 The comprehensive range of separation technologies provided by Vecoplan is specific to the properties or characteristics of the fraction being segregated from the overall aggregate. Removing metals from the aggregate is accomplished through various types of magnetic separators for ferrous, and a selection of eddy current separators for non-ferrous and stainless steel separation. 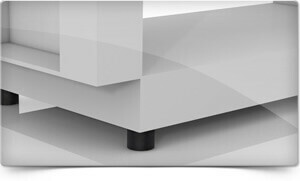 Segregation by density is achieved by float/sink separation or various types of air classification including wind sifters, aspiration and elutriation separation. Optical separation technologies, including near infrared separation (NIRS) is required for other fractions such as plastics and glass. Working with this arsenal of separation technologies, engineers from Vecoplan design a system or entire plant that is custom tailored to fit your particular specifications and needs. Separation technology equipment and waste separation machines are seamlessly integrated into your system to maximize processing efficiency, while minimizing both operating costs and space requirements. Built for extreme duty applications, Vecoplan separation machinery is also designed to require minimum maintenance. Vecoplan also offers total system controls integration. 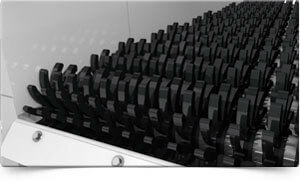 This allows aggregate material to flow from one processing station to another until it reaches its end point without the need for human monitoring of individual machine processing speeds. Wood, plastics metal separation, paper, separating paper, glass, dirt, rock, concrete – Vecoplan can automate the segregation of virtually all fractions within an aggregate through the proper use of the correct separation technology. The non-ferrous metal separator effortlessly separates non-ferrous metal, such as copper, zinc, bronze and brass, from wood, domestic refuse, plastics, etc. 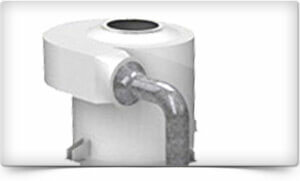 Air separators are used in a wide variety of working areas. These include, among others, alternative fuel production, waste processing, the timber industry etc. 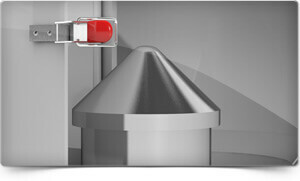 Metal detectors serve to protect shredders and other machines by preventing metal from entering in the feedstock.